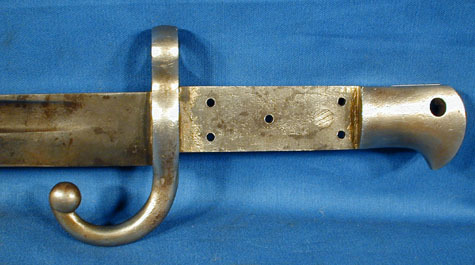 A relatively scarce bayonet, this was for the Turkish Peabody rifle, Model 1874. Unfortunately missing the grip scales, which were either wood or leather. 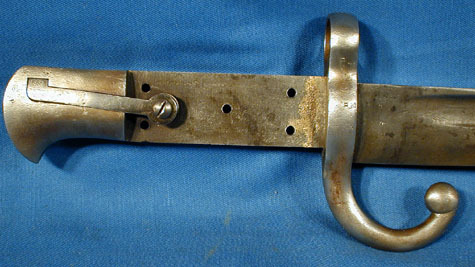 One of the heaviest of the yataghan sword bayonets of the 1800's. Blade has been sharpened. These bayonets are worth $150-$250 when complete, without the scales this one's a steal.